The steady increase in microplastic concentration could result in dramatic effects on the vulnerable wildlife of the oceans and marine food supplies. It is therefore of immediate importance to develop novel types of polymeric materials that can be sustainably produced to address these environmental concerns. MARPLAST focuses on polyhydroxyalkanoates (PHAs), a class of biodegradable bioplastics which are considered to be feasible replacements for current petroleum-based plastics. PHAs are polymers occurring in nature, produced among others by bacteria, and with properties similar to oil-derived polypropylene and polyesters, rendering them useful as an attractive biodegradable replacement. However, the naturally occurring PHA production pathways are not sufficiently understood, and currently known technologies for production are too costly to allow for a full-scale replacement. MARPLAST aims to develop and provide tools (bacteria, enzymes, and pathways) to enable efficient production of sustainable and biodegradable bioplastics from low cost unexploited biomass. Focus will be on PHA-producing cold-adapted marine bacteria, which have a range of properties that make them especially suitable for industrial applications. 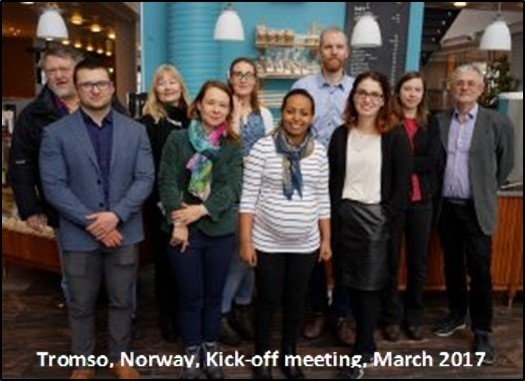 MARPLAST will utilize expertise from the Univ of Tromsø (Norway), Univ of Bucharest (Romania) and Umeå University (Sweden) to make important progress and contributions to the transition to a bio-based European economy. 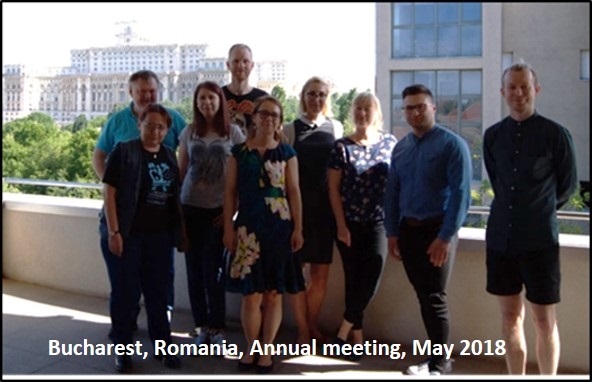 On this focus of MARPLAST, Romanian Team will isolate new marine bacterial strains from Black Sea, especially those with a high PHA production but will test also all marine bacterial strains previously isolated and deposited to Microbial Collection of Department of Genetics. Bacterial strains will be phenotypically characterized using the Biolog Microbial Identification System and other usual microbiological tests. On molecular level, identification will be based on 16S rDNA sequences. Marine bacteria will be analyzed regarding PHA production by Red Nile fluorescence intensity measurements, in order to establish the best cultivation conditions for the highest production of PHA. Those conditions will be tested also to a larger scale in bioreactor. The first phase of the project is focused on bacterial strains selection from marine environments capable of production polyhydroxyalkanoates (PHA) granules. A number of 155 strains from MICROGEN Microbial Collection were tested using Red Nile fluorescence. Thus, we managed to select three PHA producers, subsequently confirmed by GC-MS, also identifying polymer type for the tested conditions. Selected strains were taxonomically identified based on ribosomal RNA 16S as Loktanella sp. P2, Granulosicoccus sp. P4, Sulfitobacter sp. P5. These strains along with ones from the Norway partner, Halomonas sp., Pseudomonas sp., Roseobacter sp., were subjected to metabolic assays comprising API and BIOLOG tests. Resulting data revealed special nutritional demands of tested marine bacteria, oligotrophs for many carbon and nitrogen sources. Thus, we faced several problems when adapting our marine isolates to laboratory conditions, requiring a more detailed analysis of growth media. PHA production was evaluated in a volume of 250 mL, variating the temperature and carbon source. Detection and quantification of PHA granules was conducted based on Red Nile fluorescence, using a 96 well plate reader, also determining cellular density. These assays managed to emphasize the high PHA production potential of MICROGEN Bacterial Collection tested strains. For biotechnological approach, Roseobacter sp., was selected for batch cultures in a 2L bioreactor, recording a lower fluorescence then 250 mL cultures. New isolates from the Black Sea were tested, and from 22 strains only four were identified as PHA producers for selected conditions. Thus, we conclude that all our activities were successfully accomplished. 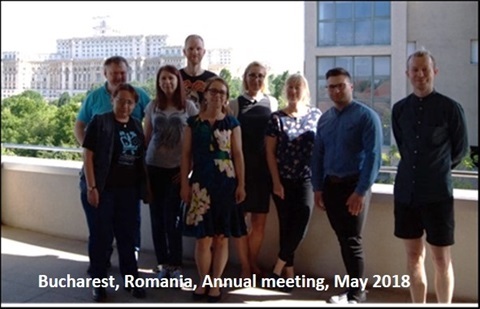 The isolation and purification activities of bacterial strains from the Black Sea ecosystem resulted in a number of 82 isolates, out of which 12 were selected as PHA-producing strains. Following molecular analysis of 16S gene sequencing, these strains have been taxonomically identified as belonging to various bacterial species, some of them poorly studied as PHA-producers. For a suitable metabolic and taxonomic characterization, the selected strains were analyzed by Biolog system for their ability to metabolize multiple carbon and nitrogen sources, and in terms of osmotic and ion effects (e.g. tolerance to different salts concentrations). The enzymatic profile, determined by API assays, showed high similarities between the isolates, but BIOLOG tests showed a metabolic diversity of the carbon and nitrogen sources. As expected, high salts tolerance confirmed their provenance from saline and hypersaline marine environments such as those from Norwegian partners. The optimization of growth conditions and PHA production parameters primarily consisted of cultivation on carbon sources of low economic value: molasses, glycerol, starch, fructose, in combination with various nitrogen sources. The results obtained were extremely diverse, each strain analyzed behaved differently in terms of multiplication and PHA production capacity. Of all the strains analyzed, C2/2 Photobacterium seems to have nutritional needs that have led to values of 20-25 DO cultures, which is biotechnologically important. Moreover, the extremely intense fluorescent signal we have obtained confirms PHA production potential of this strain, which belongs to a less studied species with no emphasis on PHA production capacity. Bioreactor tests have shown that C2/2 strain can store up to 70% PHA in the cell and can produce up to 4g PHA / L, results comparable to other studies. Although PHA production for strains N16b Halomonas and C2/10 Leisingera, was slightly lower, they still accumulate up to 40-58% of the dry weight, which are interesting results that can be exploited biotechnologically. European Conference of Biotechnology, Athena, Greece Aprile 26-28, 2018, Polyhydroxyalkanoate production potential of Black Sea new bacterial isolates, Mereuta I, Chiciudean I, Lascu I, Avramescu SM, Stoica I, Tanase AM, abstract published in Journal of Biotechnology: DOI: 0.1016/j.jbiotec.2018.06.148.